Attorneys for five prominent United States-based sports organizations — the National Football League, National Hockey League, Major League Baseball, National Basketball Association and the college-level National Collegiate Athletic Association — have jointly filed a court-mandated response brief in the appellate battle over New Jersey’s ongoing attempts to offer some form of regulated sports betting in the state. The battle between New Jersey and the sports associations is a key element in the future of both regulated and gray-market sports betting in the United States. Most sports betting in the US have been driven to offshore and underground channels since a largely nationwide ban, known as PASPA,was signed into law back in 1992. 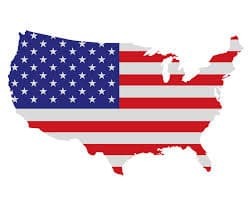 Should PASPA’s mandates be reversed by the US courts or if the US Congress passed another law reversing its bans, the US would emerge, likely within months, as the world’s largest legalized sports betting market. That’s why the focus on New Jersey’s efforts to find a PASPA workaround have drawn extreme attention around the globe. A US appellate court decision issued in September upheld the existing PASPA ban and blocked a New Jersey law that would allowed sports betting to occur at state-approved casinos and racetracks. However, the ruling’s split nature (a 2-1 vote) and conflicting fine points between the decision and a related decision in a 2013 case have given New Jersey reasonable grounds for continued appeal. The US-based sports leagues prefer the status quo, and therefore want to keep PASPA intact. Even though the commissioner of the NBA (one of the five plaintiffs in the PASPA “Christie II” case), Adam Silver, has admitted that traditional sports betting is inevitable, the associations have continued their formidable legal and lobbying efforts to keep PASPA in place as long as possible. The NFL, NBA, MLB, NHL and the NCAA would receive no money from traditional sports-betting forms. However, they are finding avenues through which to generate licensing income from daily fantasy sports — DFS being the stats-heavy alternative which has partially filled the “legal” sports betting vacuum in the US. All that meaty history serves as the background for yesterday’s legal filing by the leagues, in which they argue that New Jersey shouldn’t be granted further hearings in its appeals of the “Christie II” case, named for New Jersey’s governor, Chris Christie. The key point in the whole battle remains whether New Jersey can still find a way to selectively repeal its existing state-level bans against sports betting. New Jersey would like to find a way to allow the state’s casinos and racetracks to set up regulated sports books — and thus generate needed tax revenue — allowing New Jersey to join Nevada as the only US states where such betting is legal. So far, though, they haven’t found a workaround to the existing PASPA prohibitions. It would be easy enough to just undo New Jersey’s own ban and declare that sports betting is legal throughout New Jersey, but of course, New Jersey doesn’t want that sort of free-for-all to occur. The only real dispute after Christie I, then, is whether, in addition to preserving New Jersey’s right to repeal its sports gambling prohibitions entirely, PASPA also allows New Jersey to accomplish the authorization of sports gambling at its preferred venues by selectively “repealing” its general, statewide prohibitions only at those comprehensively regulated state-licensed gambling venues (and only for the persons and sporting events of the state’s choosing). And as to that question, the [appellate court] majority in Christie II plainly got it right. Whatever else PASPA may allow a state to do, it certainly does not allow a state to dictate where sports gambling may occur, by whom, and even on what sporting events, under the guise of “partially repealing” its otherwise-blanket sports gambling prohibitions. The filing goes on to slag New Jersey officials’ efforts to find a PASPA workaround, such as “authoriz[ing]” a “blatant violation of federal law,” while reiterating its assertion that New Jersey remains free to lift its own long-running sports-betting ban. The US Third Circuit court mandate the US sports leagues to file yesterday’s brief (which runs to 20 pages), but has not yet set any timeline for its next step in the case, which is order or decline to order an en banc review of the September appellate decision.